Whether you call them tapestry needles or yarn needles (not to be confused with knitting needles) they are used for essentially the same thing. So then why are some tapestry needles bent at the end? Why are some yarn needles longer than others? What about the plastic ones that are hollow the whole length? Let’s explore the different kinds of tapestry needles and decide which ones will work best for you. The truth is that if you crochet or knit you could use tapestry and yarn needles interchangeably. It all comes down to personal preference. There are short yarn needles, long yarn needles, or pointy or blunt yarn needles. 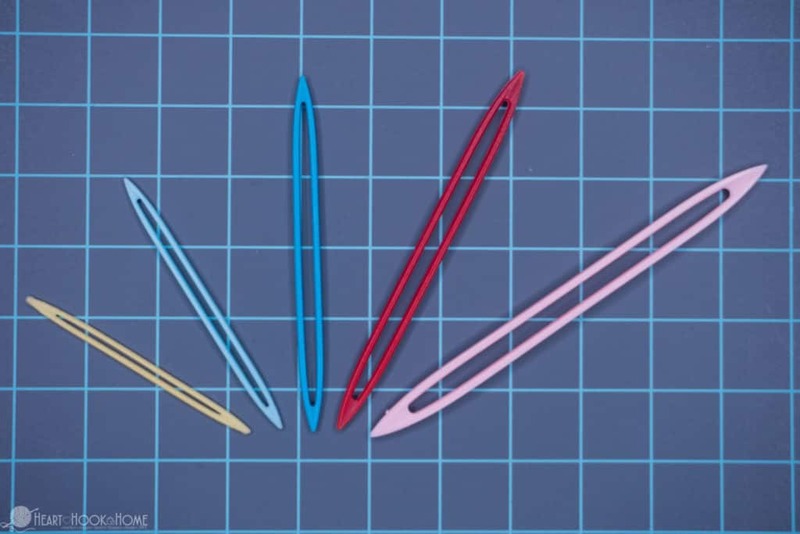 There are also hollow-length yarn needles, bent yarn needles, and spade-shaped, pointy yarn needles. 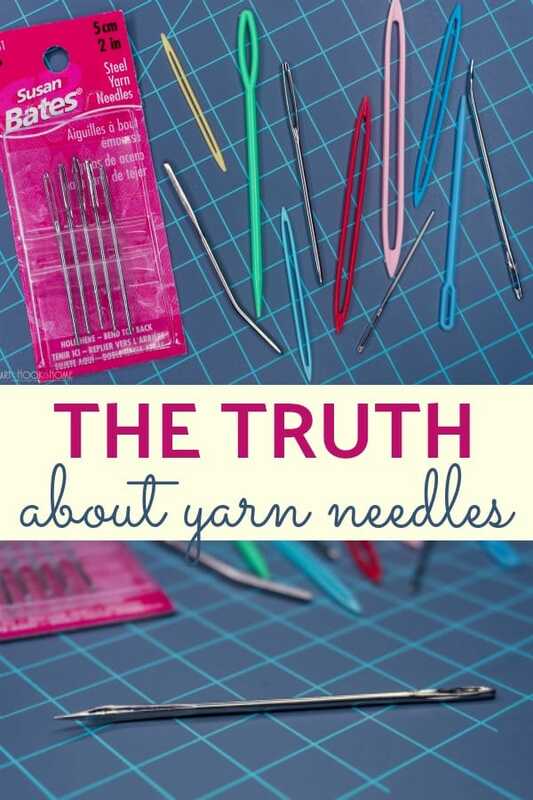 Which needle you use may depend on your project and the yarn you are using. 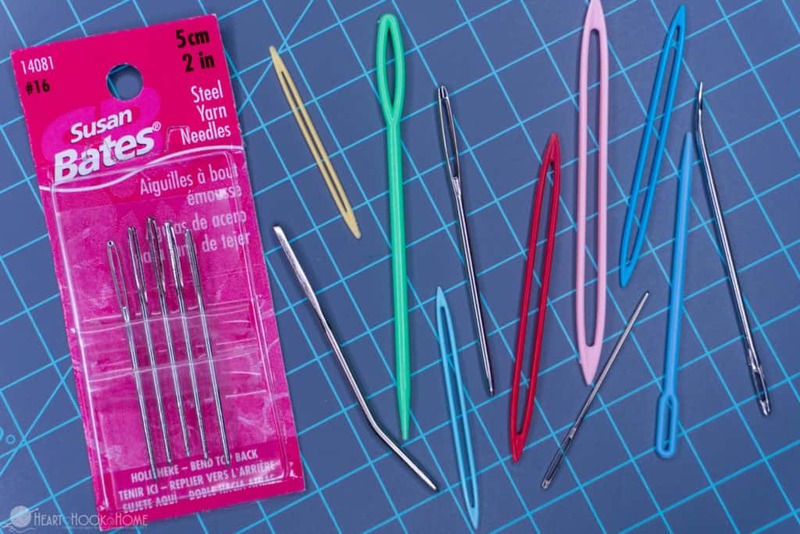 The hollow-length needles are excellent for weaving in very short ends. If you find yourself with less than 3″ (or even less!) of yarn tail to work with, these will help tremendously – and they are sold in a package with a variety of sizes! 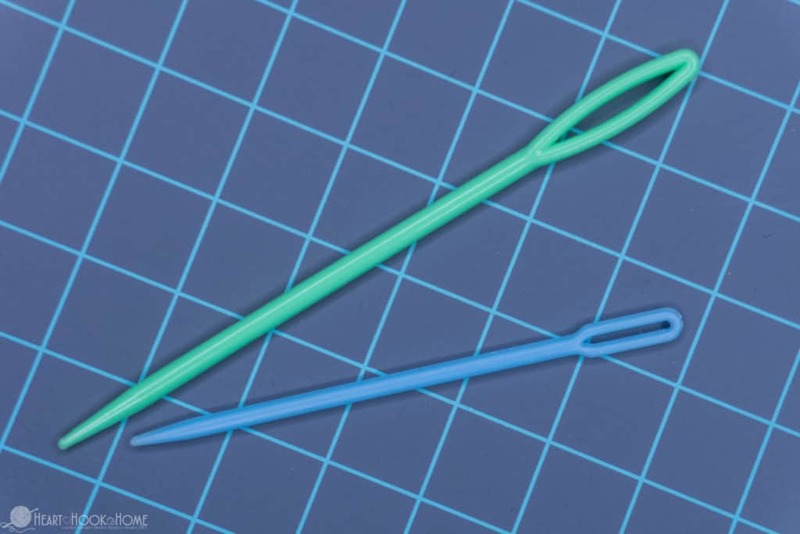 The bent-tip needles are excellent for weaving in ends in tight spaces such as amigurumi. This is one of my go-to needles. 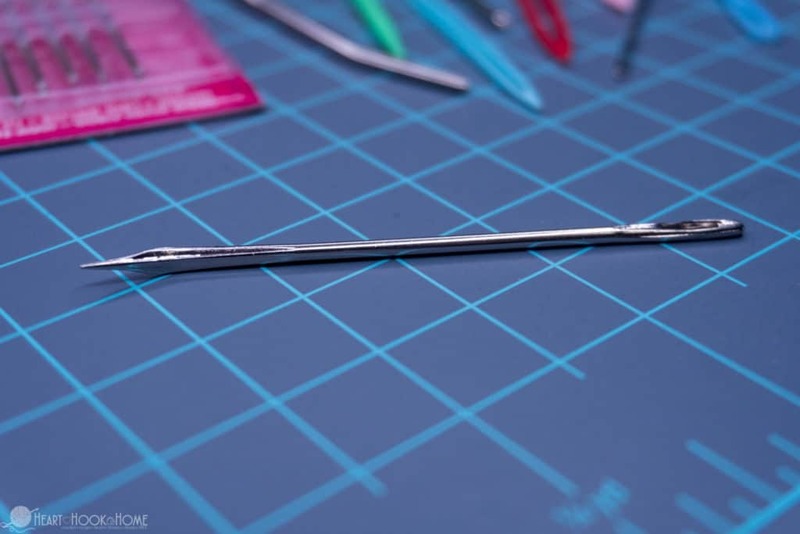 I personally prefer the metal needles by far, but the large, plastic needles like this work well for weaving in ends on larger yarns, such as Bernat Blanket or Lion Brand Thick & Quick. These large needles will, however, not work with a thinner weight yarn as they may distort the stitches – which is why I am not a fan. The plain ol steel yarn needles (like these) have long been a favorite among crocheters and knitters. The yarn can be threaded quickly, they are available in a variety of sizes, and work with any size yarn. A good friend of mine turned me onto these heavy duty needles. In the short time I have played with this needle, it has quickly become my favorite. So much so that I should probably buy another 2 or 10 for backups. Ha! THEY ARE AMAZING!!! What I like about this needle is that incorporates all of my “wants” in one. 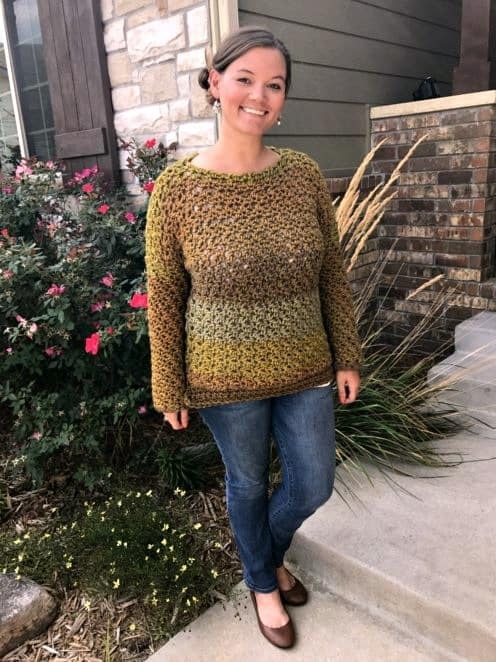 It is pointy enough to glide right through those stitches, and it is slightly bent and fits into all of those smaller spaces I need it to go. Have more questions on tapestry needles? I’ve answered the most common questions below. Tapestry needles large sewing needles with blunt ends and large eyes. This allows you to easily insert the yarn into the eye. What are tapestry needles used for? Tapestry needles are used in knitting and crochet to weave in the yarn ends left from either joining a new ball of yarn, changing to a different color yarn, or when you finish your project and want to hide the tail(s). Basically any time you have a loose bit of yarn that you want to conceal. Tapestry needles can also be used to join two different pieces of crocheted/knitted fabric together, such as when using the Mattress Stitch. 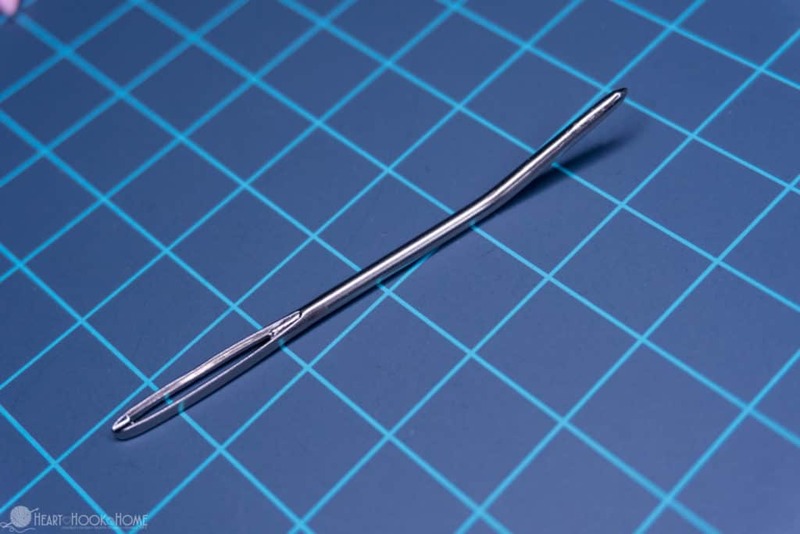 Why are some tapestry needles bent? 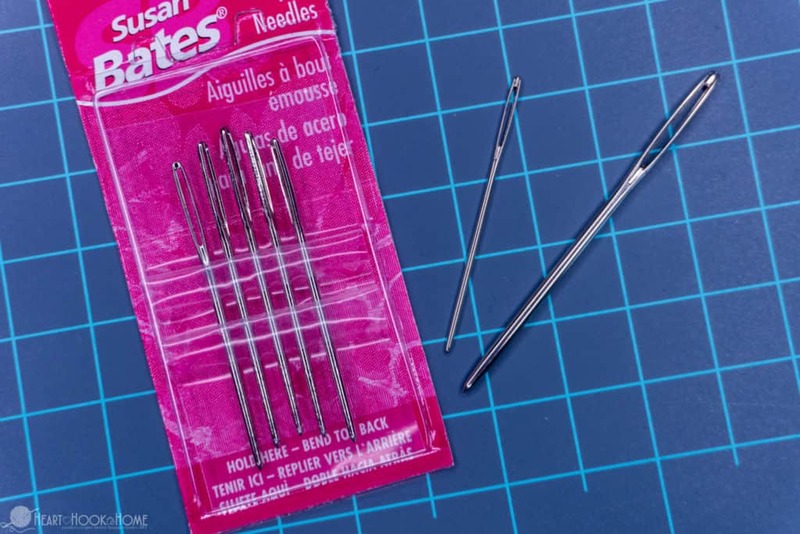 Tapestry needles that are bent make it easier to weave in ends in tight places, specifically with amigurumi (stuffed animals) or smaller projects. They allow you to pick up just one loop of yarn easier than you normally may be able to. Why are needles different sizes? 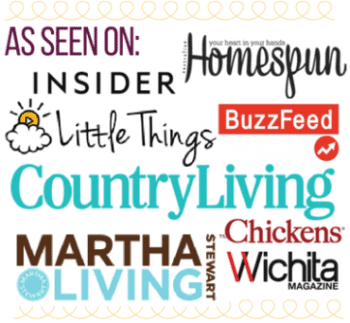 This, for me, is all about personal preference – and the size of your yarn. You won’t likely be able to thread a small tapestry needle with a super bulky yarn. Yarn needles are a bit like crochet thread in their sizing. The smaller the number, the larger the needle. The larger the number, the smaller the needle. Whether to use pointy or blunt needles are also a matter of personal preference. I personally like to weave in my ends going through some of the fibers of the yarn itself. I find that this makes a more secure weaving, so having a pointy needle helps in that process.